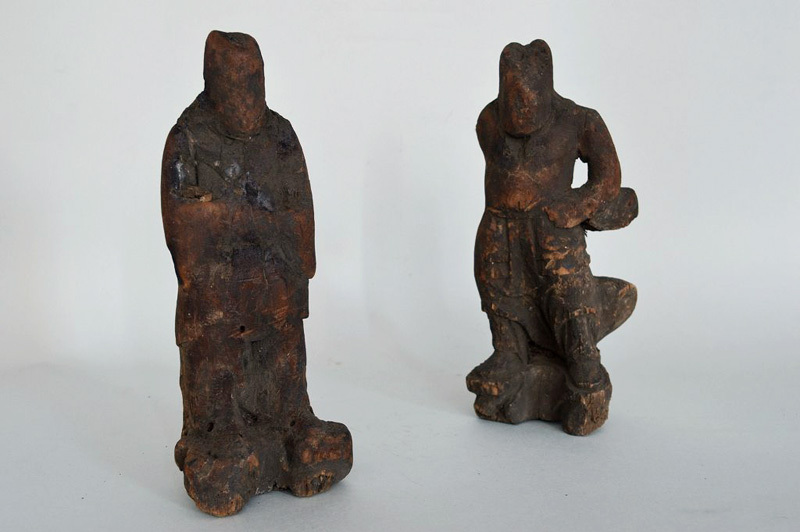 TWO YAKIBOTOKES (Dealer: titcoRet) – ‘Yakibotoke’ (lit.‘Burnt Buddha’) as burnt wood carving Buddhist statues for war or conflagration which is valued as one form (object) of belief in Japan. Late Edo – Meiji period, 19th century. Sooty condition. Slight wood powder from one statue. Attached with stand and stone, because those are not standable by themselves.